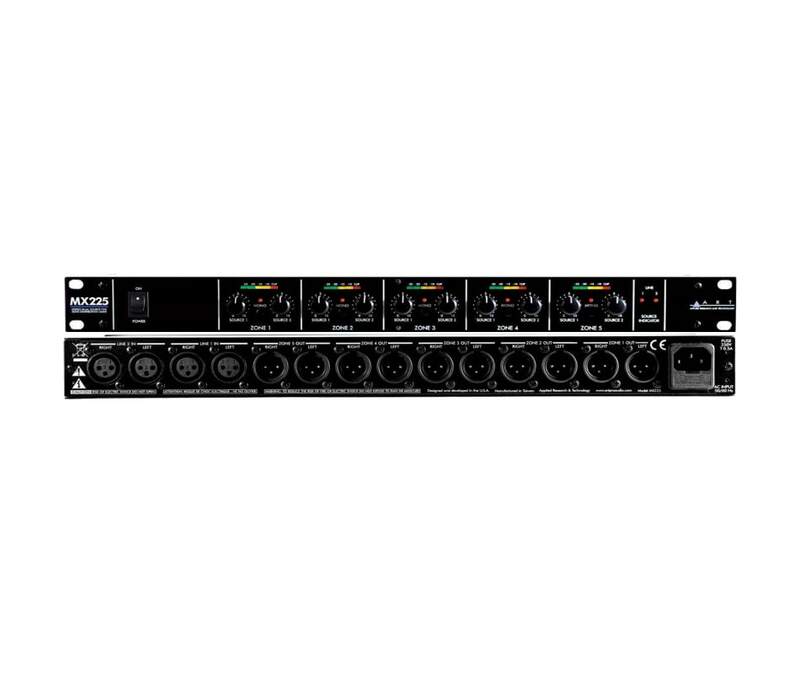 The MX225 is designed for remote volume control of multiple amplifiers or powered speakers in a distributed audio system. Two stereo sources are available to each of five output zones. Each source input pair handles separate left and right balanced line level signals. Each output zone features independent level control from inputs 1 and 2, stereo/mono selector with mono indicator, LED level metering, and left and right balanced line level zone outputs. All audio connections are balanced XLR. The built in power supply and single high 19" rack mount format allows for easy installation and reliable operation.